Think the battle for social and environmental justice is a new thing? How about these six longtime Colorado activists who have dedicated their lives to conservation and building a better world? For a relative newcomer to the sport of politics and protest, just hearing the words “Bears Ears” can make your blood boil. Mention the stripping of provisions in the Endangered Species Act and watch an environmentalist’s head explode. Or try to discuss it on Twitter? You might as well kiss your mental health goodbye. Watching the next generation take up the fight for public lands and social and environmental justice, I started to itch for some perspective from our elders on the current political climate. For veterans of protest movements and advocacy, is our current level of consternation valid, or are we creeping into hysteria? I wanted a long view, and—I’ll be honest—some hope. My conversations six longtime advocates for the West and its people and wild spaces offered that—and something that was much more instructive. During the 30 years she worked for the Colorado Department of Natural Resources, Loretta Pineda wasn’t consciously trying to hire more women, she said. In fact, she didn’t realize she’d done it until she was leaving the agency. Now, Pineda is mentoring young people on the other side of the hiring equation, trying to get more diverse candidates into jobs in the outdoor industry. 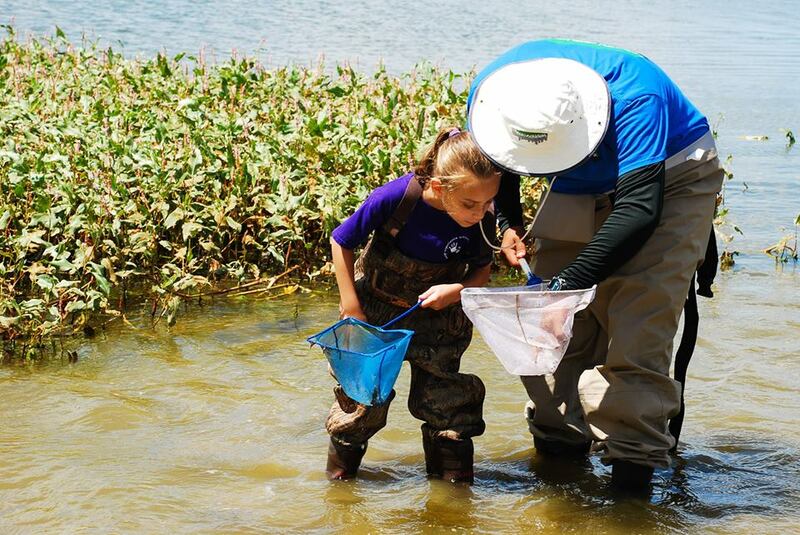 Pineda serves as the executive director of Environmental Learning for Kids, or ELK, a nonprofit based in Denver’s Montbello neighborhood, which helps urban kids get more involved in Colorado’s outdoor spaces. Eventually, she always hopes, these kids will find outdoor jobs. But it’s an uphill push, and not because of the kids. When I called Jim Nowak, co-founder of the dZi foundation, the organization’s U.S. staff was preparing for a celebration in Ridgway Town Park. The nonprofit was marking 20 years of partnering with communities in rural Nepal to improve facilities, public health and education there. Nowak and Kim Reynolds started dZi in the wake of a climbing trip on Pumori, in Nepal. When they learned a girls’ school was in danger of closing, they did some fundraising and ended up saving the school. Protest has been part of Tink Tinker’s life for decades. He’s been involved with the American Indian Movement for 40 years and started protesting Columbus Day in Denver in the late 1980s. His goal back then: “to alert America that as much as they want to celebrate this guy Columbus, it’s damaging to Indian people,” he said. 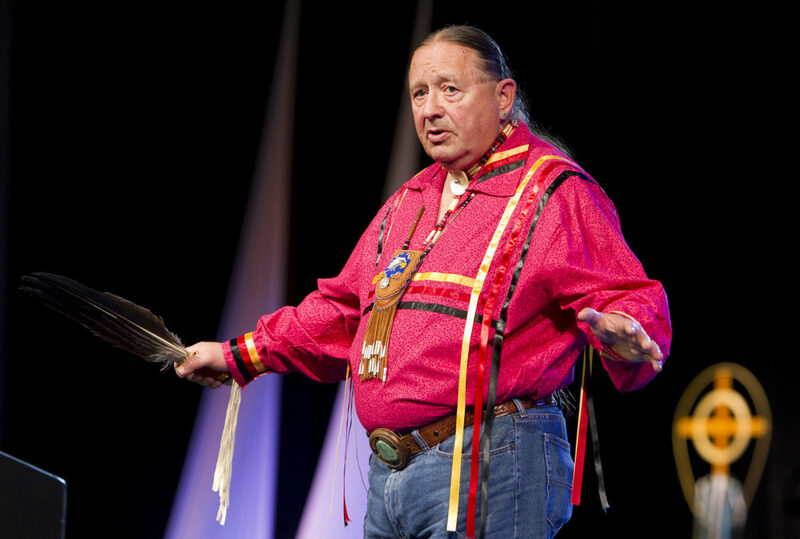 Tinker, the Clifford Baldridge Emeritus Professor of American Indian Cultures and Religious Traditions at University of Denver’s Iliff School of Theology, retired earlier this year after more than 30 years of teaching. Like Pineda, his students helped to inspire his continued activism. 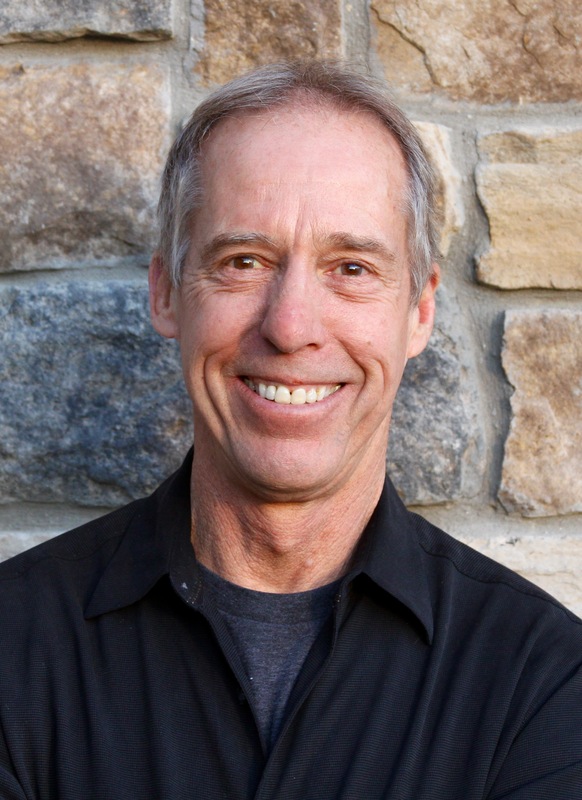 “At Iliff School of Theology, where I had my teaching career, students were inordinately receptive, and they helped me even further my thinking from year to year,” he said. Ann Bonnell was disinvited from a public meeting for her persistence on conservation, but she knew her rights under the Colorado Sunshine Law for open meetings. So she kept returning—for years. Persistence has been her hallmark as an activist. “It’s better to keep the lines of communication open and not just shut them down,” Bonnell said. “If you can go to the meetings you can find out what’s going on and maybe make some suggestions. They’ve taken some of my suggestions at some of these meetings that I’ve crashed.” Then she laughed. Bonnell’s first fight for conservation was at Chatfield State Park. “They had decided they should trap beavers, and they were using these big metal traps that would drown them,” she said. “And I was not just concerned about the beavers, but I was concerned some kid would get in there and get trapped and drown. I ended up with my picture in the Littleton Independent standing on top of a beaver house to save the beavers. So I guess that was the beginning” of my activism. An avid birder, Bonnell became involved with Audubon Society and the Sierra Club—and with their conservation efforts. 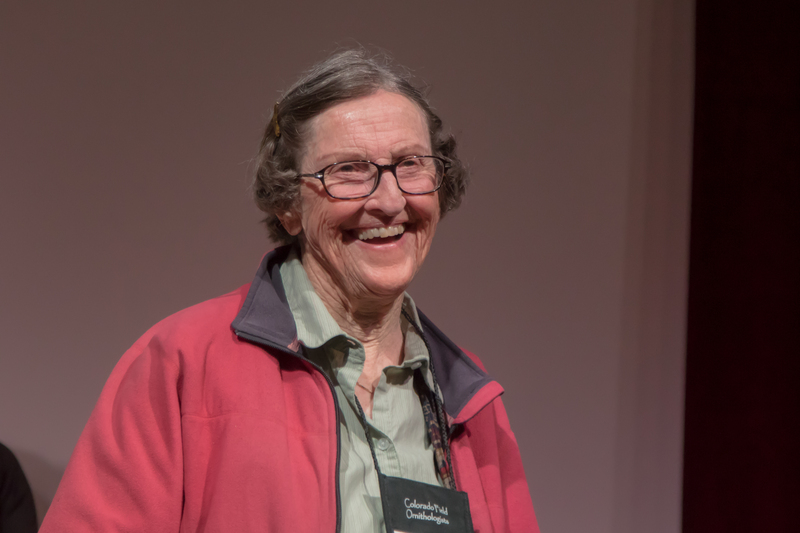 Earlier this year, she received the of Colorado Field Ornithologist’s Lifetime Achievement Award for her years of activism. But it feels like the work is never-ending. “We just keep eating up the habitat, piece by piece, and the poor wildlife has to figure out what to do without places to live and things to eat,” she said. You study up and figure out some things that might even save the developer some money, or save the city some money,” she adds. She has started coaching the next generation, walking them through the weeds of municipal entities, telling them what paperwork to file. 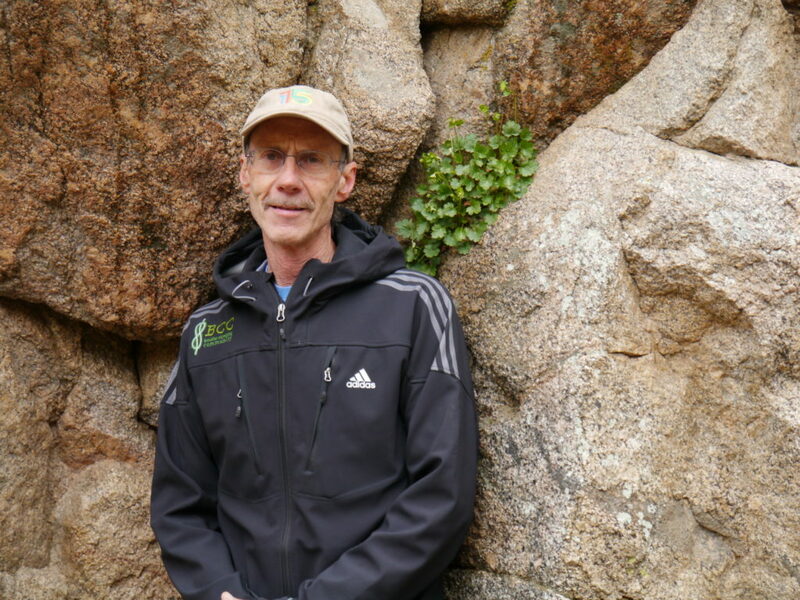 Roger Briggs has thought carefully about the words he’s used over the years, since he started the distance-running program as a teacher at Fairview High in Boulder in the 1970s, when he formed the stewardship-focused Boulder Climbing Community in 2010, and now, as he moves on to another stewardship project. Eight years into his project to create community around taking good care of Boulder Canyon, which is a virtual labyrinth of property owned by multiple entities and used by climbers, hikers and mountain bikers, Briggs is increasingly hopeful that people can be “benevolent caretakers” of the canyon. He’s formed a partnership with the University of Colorado’s Center For Sustainable Communities and Landscapes to create what he’s calling the Boulder Canyon Stewardship Zone. “You fight an environmental battle, you think you’ve won it, but the win is temporary, because the development powers are always there waiting in the wings to go at it,” Thompson said. “In my time fighting environmental issues, the only one I feel I’ve won is stopping Denver from building the Two Forks Dam” in the 1980s. The first nonprofit board Thompson joined when he moved from Denver to the San Luis Valley after retirement was the Alamosa Volunteer Search and Rescue. “Unfortunately at my age they don’t let me go up in the helicopter anymore,” he said. 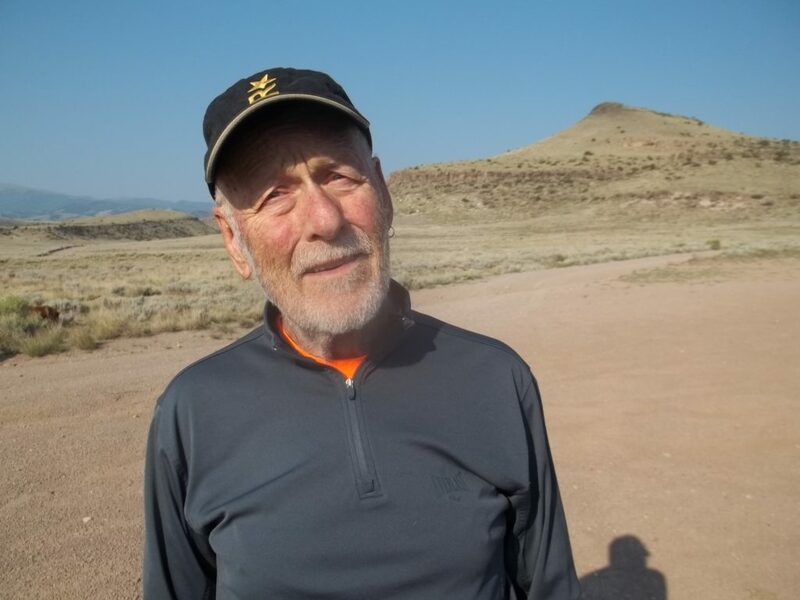 But he recently celebrated his 80th birthday backpacking the Collegiate Loop on the Colorado Trail. That, and serving on those seven boards.